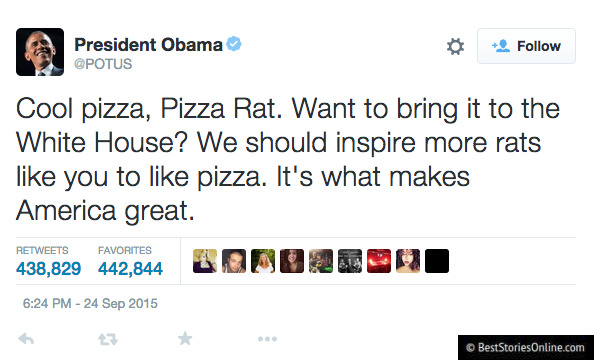 Earlier this week, the world was introduced to Pizza Rat. 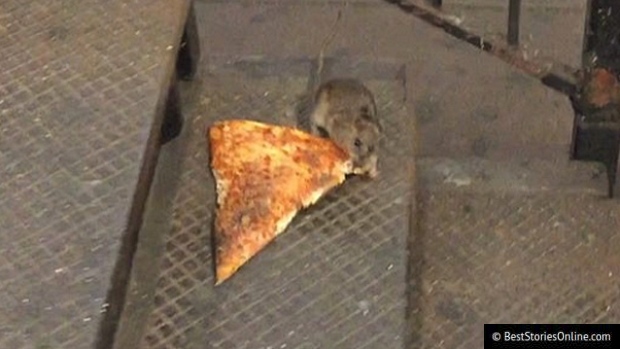 For those of you who have been living under a ROCK, Pizza Rat is a very viral rat who was filmed carrying a big slice down subway steps. Eventually he gave up, but that hasn’t prevented President Obama from inviting him to bring his prized possession all the way to the White House! 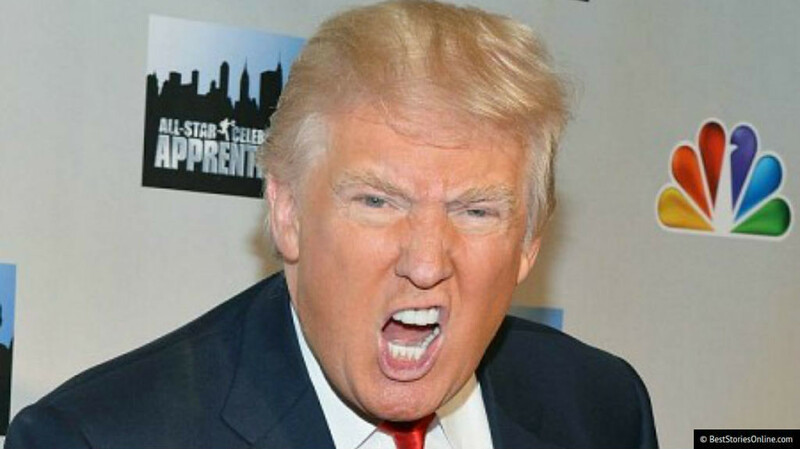 Trump had harsh words for Pizza Rat himself that attack the popular narrative of bravery that launched it to fame. Trump’s supporters were quick to acknowledge Trump’s point. 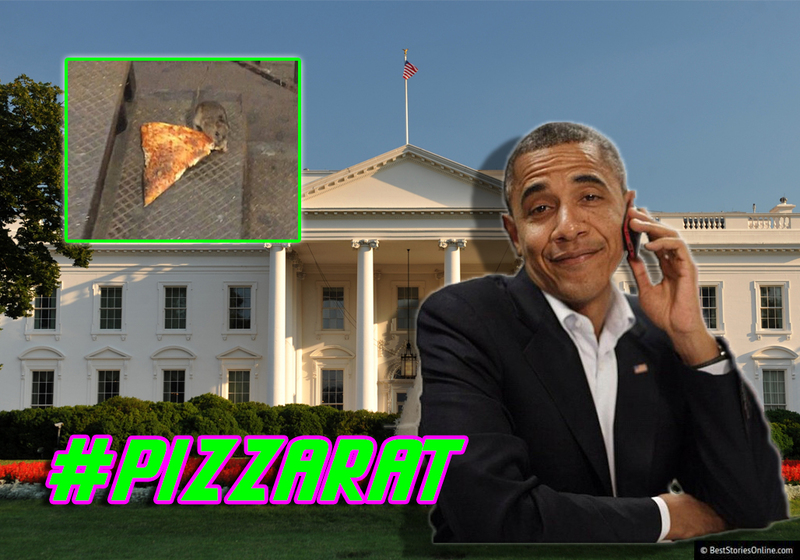 Not only has Pizza Rat yet to accept President Obama’s invitation—Pizza Rat has not been heard from since its rise to prominence. White House press secretary Joshua Earnest spoke on this matter at a press conference earlier today. 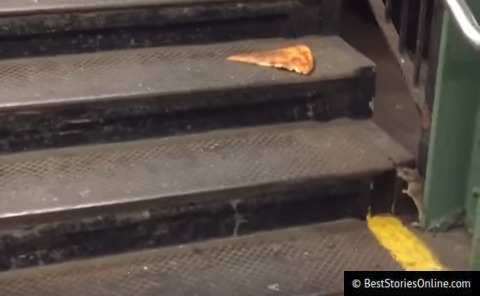 Earnest declined to comment on conspiracy theories circulating on Internet forums proposing that the Pizza Rat phenomenon is a hoax. A hoax?! Give us a break. 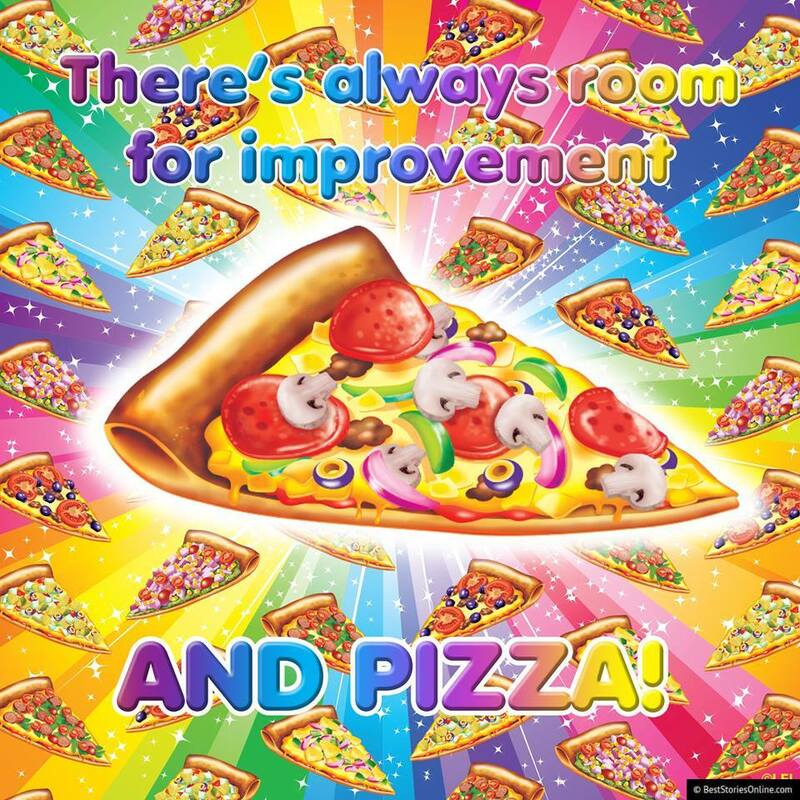 That pizza looks as real as apple pie. Have a safe weekend, everybody!